Glucosamine sulfate, a naturally occurring chemical in the body, is used to make other chemicals that are involved in building tendons, ligaments, cartilage and the fluid around joints. It is also found in bone marrow, shellfish, animal bones and fungi. It is said to address pain and movement in knees affected by redness and swelling, and there is some evidence that it may actually keep the joints from getting worse. Premier Research Labs uses glucosamine sulfate in its Premier Glucosamine, a natural supplement that offers targeted joint, ligament and connective tissue support. This product tests on to all 4 biofield polarities. It is 100% pure vegan and gluten free. The formula is encapsulated in 100% solvent-free vegetable capsules and packaged in PET plastic Violite bottles that block damaging radiation. 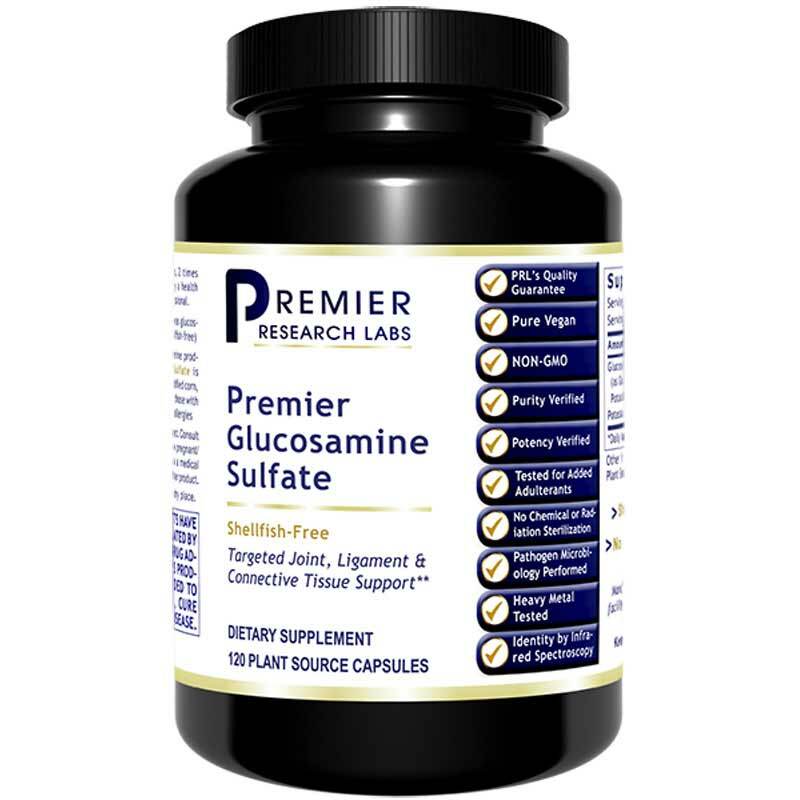 If you're looking for a natural glucosamine sulfate supplement, Premier Research Labs' Premier Glucosamine may be for you. Order online today! Contains NO: shellfish, magnesium stearate (a toxic excipient), artificial colors, flavors or preservatives. Vegan and Non-GMO. Adults: Take 1 capsule 3 times daily with meals or as recommended by a healthcare professional.